Many thanks to Mya Frazier and Columbus Monthly for a thoughtful and in-depth article on Shawnee and recent performances of the "Shawnee, Ohio" project. 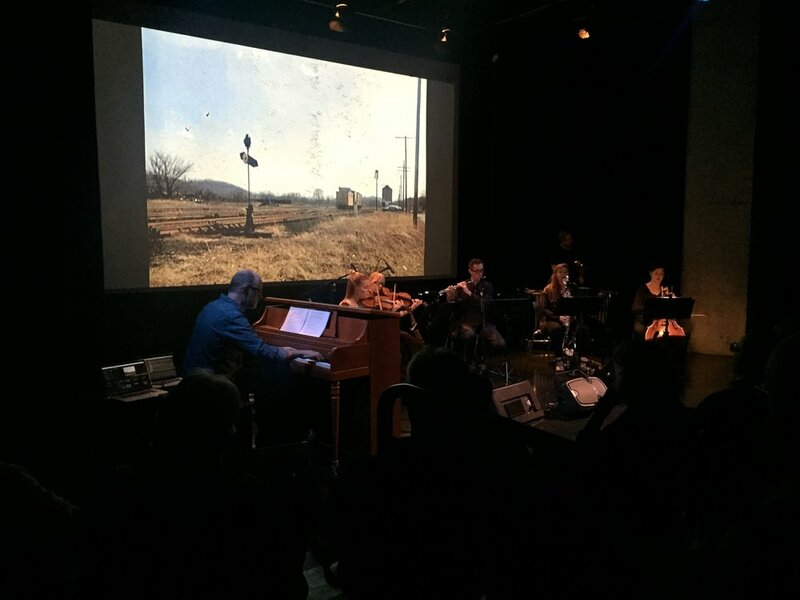 Live Video at Wexner Center and Tecumseh Theater of "Shawnee, Ohio"
Live performance and Q&A excerpts are from the Wexner Center for the Arts in Columbus, Ohio (October 27, 2016), and the Tecumseh Theater, Shawnee, Ohio (October 28, 2016). Above and below are photos from three recent performances. From top to bottom: Wexner Center for the Arts (October 27-8, 2016, photos by Kevin Davison); Contemporary Arts Center Cincinnati (November 3, 2016, photos by Asa Featherstone); and the Tecumseh Theater, Shawnee (October 29, 2016, photos by Kevin Davison). Drew Klein and I rode up the 6 floors of the Contemporary Arts Center, Cincinnati this past week. In that time, I had to explain what is at the heart of "Shawnee, Ohio," which we were performing that week in the CAC's black box performance space. We did it in one take! Listen to an Excerpt of "Neva" from "Shawnee, Ohio"
A short promotional excerpt by Claudia Esslinger of "Neva," for the upcoming world premiere performances at the Wexner Center for the Arts (October 27-28), Shawnee (October 29), and Contemporary Arts Center Cincinnati (November 3). "Neva" is from the forthcoming 2017 album "Shawnee, Ohio," on Dust-to-Digital Records. "Shawnee, Ohio" is co-commissioned by the Wexner Center for the Arts, Duke Performances, and Contemporary Arts Center, Cincinnati. "Shawnee, Ohio" is a project of Creative Capital. Above is my presentation at the Creative Capital retreat this past summer at the Experimental Media and Performing Arts Center (EMPAC) in Troy, New York. The retreat was a chance to share and learn about the work of leading artists across the country, and meet with industry professionals. It was a life-changing experience, and I was grateful for the chance to be there. "Shawnee, Ohio" premieres in less that two weeks at the Wexner Center, October 27 and 28. We'll also be performing in Shawnee on the 29th, and at the CAC Cincinnati on November 3. Watch an Excerpt of "Sigmund" from "Shawnee, Ohio"
"Sigmund" is one of eleven audio portraits from "Shawnee, Ohio." 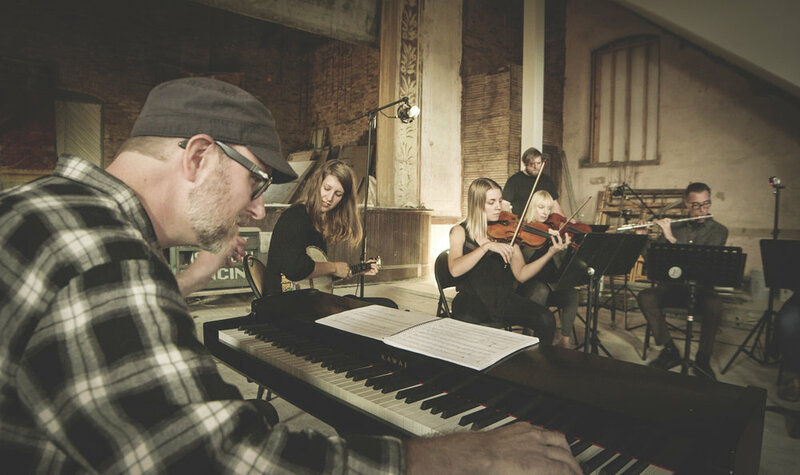 Combining Sigmund's voice and words with a seven-piece ensemble, the piece explores the grief and humanity associated with energy extraction, mining, and disaster. 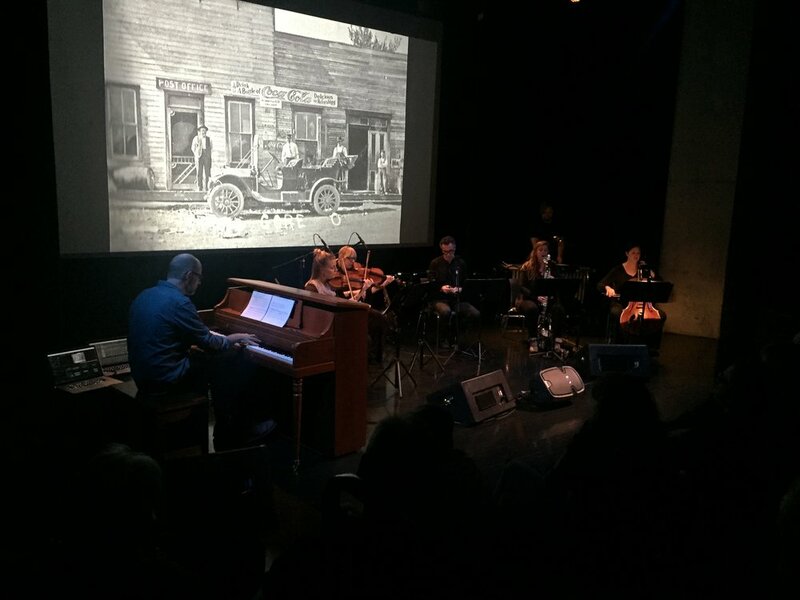 It uses excerpts from Justin Zimmerman's film "Meeting Again," a documentary about the Millfield Mine Disaster. Sigmund Kozma was the last living survivor. The world premiere of "Shawnee, Ohio" takes place on October 27 and 28 at the Wexner Center for the Arts in Columbus, Ohio, followed by shows in Shawnee (October 29) and Contemporary Arts Center Cincinnati (November 3). Listen to "Amanda" from "Shawnee, Ohio." "Amanda" is a track from the forthcoming 2017 album "Shawnee, Ohio," on Dust-to-Digital Records. The field recording is a local murder ballad from Gore, Ohio. It is used with permission from the Anne Grimes Collection at the Library of Congress. "Shawnee, Ohio" is co-commissioned by the Wexner Center for the Arts, Duke Performances, and Contemporary Arts Center, Cincinnati. "Shawnee, Ohio" is a project of Creative Capital. Tickets are now on sale for the world premiere of "Shawnee Ohio" at the Wexner Center for the Arts on October 27 and 28. 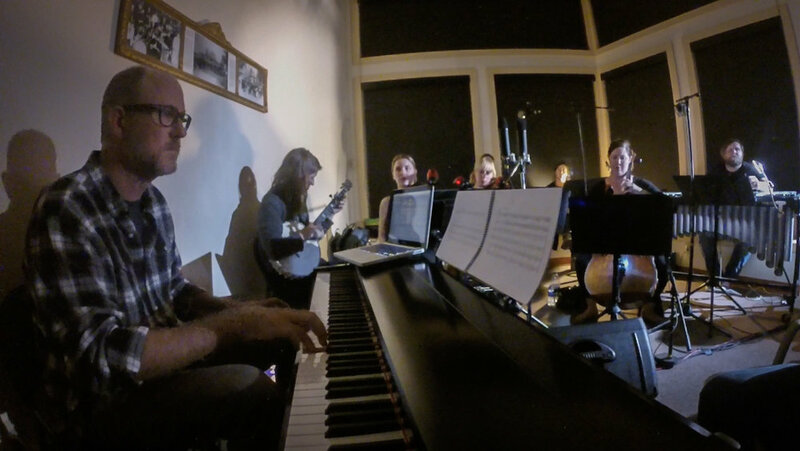 It features a great group of musicians, including Anna Roberts-Gevalt (from Anna and Elizabeth), my old pal Jeremy Woodruff, and the fantastic Katie Porter, Aaron Michael Butler, and Jocelyn Hach. "Shawnee, Ohio" was co-commissioned by the Wexner Center for the Arts, Duke Performances, and Contemporary Arts Center (Cincinnati). "Shawnee Ohio" is a project of Creative Capital. I had the pleasure of attending and talking at the Creative Capital retreat at the Experimental Media and Performing Arts Center (EMPAC) in Troy, New York this past weekend. I shared excerpts and context for my current project, "Shawnee Ohio." There were so many inspiring artists, presenters, and others working in the arts. It is such an honor to be among them! CAC Cincinnati and Duke Performances Join as Co-commissioners for "Shawnee, Ohio"
I am excited to announce that Contemporary Arts Center (Cincinnati) and Duke Performances at Duke University have joined the Wexner Center for the Arts as co-commissioners of "Shawnee, Ohio." The piece will premiere at the Wexner Center October 27 and 28, will be performed in at CAC on November 3, and again at Duke Performances in 2017. 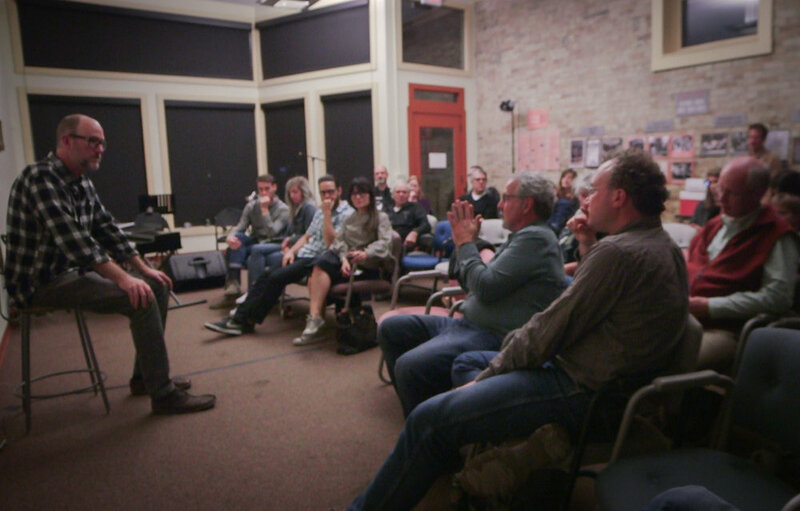 In addition, CAC will host a week long residency in Cincinnati, funded in part by the National Performance Network. I cannot think of any better places to develop and share this piece. Their support, along with Creative Capital, is invaluable! The video below is for the 2016-17 season at CAC. I'm honored to be a part of it!